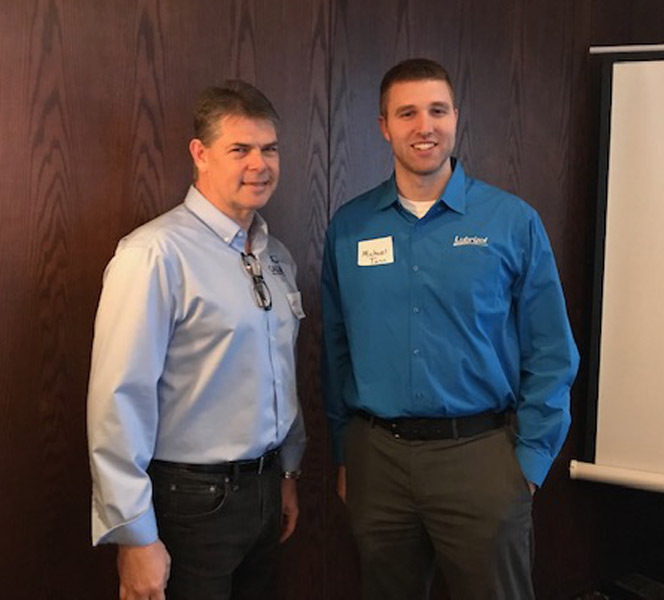 On Friday, February 8, 2019, Darrell Bailey, Reliability Manager of Calumet Specialty Products presented "Lubrication Training in Our Plants Today", The meeting notice can be accessed here . The meeting slides can be downloaded here. 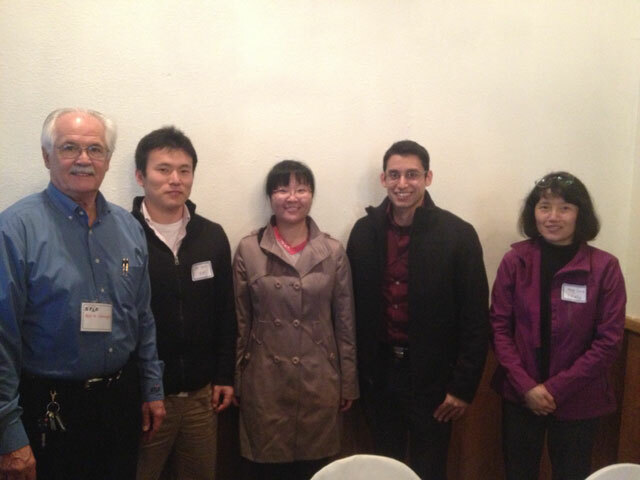 On Friday, January 11, 2019, Yan Chen, Ph D. student at Texas A&M presented "Nanoparticle Additives in Grease" and Brady Reed, Associate Engineer for McDermott International presented "Effects of Nanomaterials on Bacteria" The meeting notice can be accessed here . The meeting presentation slides cannot be made public at this time. On Friday, November 9, 2018, Christopher Haught, , Product Manager of Esco Products presented "Visual Oil Analysis", The meeting notice can be accessed here . The meeting slides can be downloaded here. On Friday, October 12, 2018, Jeff Weikert and Andrea French of Beckman Coulter presented "Fluid Contamination: Measurement for Control", The meeting notice can be accessed here . The meeting slides can be downloaded here. On Friday, September 12, 2018, Steve Twining, Global Account Manager- Industrials of Perkin Elmer presented �Harnessing Solid State Detector Technology in Inductively Coupled Plasma to Determine Unknown Elements in a Lubricant Sample", The meeting notice can be accessed here . The meeting slides can be downloaded here. 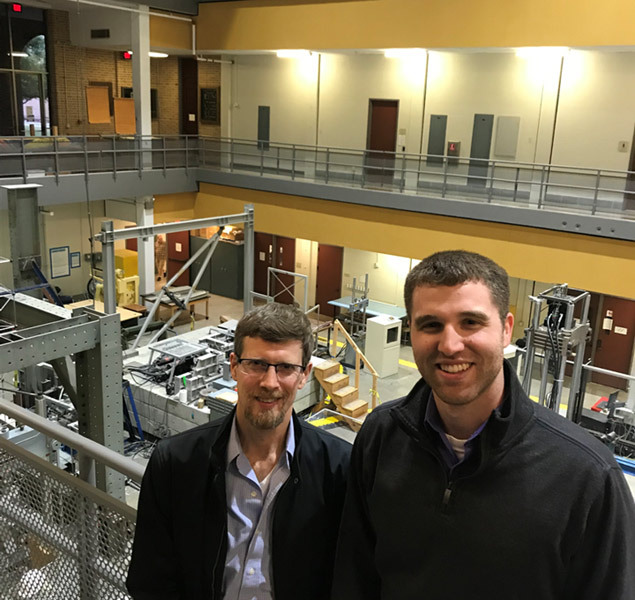 On Friday, May 11, 2018, Dr. Matthew Brake, from Rice University presented "New Results from a Lubricated Impact Study" in addition to "An Overview of What is Done in the Areas of Lubrication, Tribology, and Friction". The meeting notice can be accessed here . The meeting slides can be downloaded here. 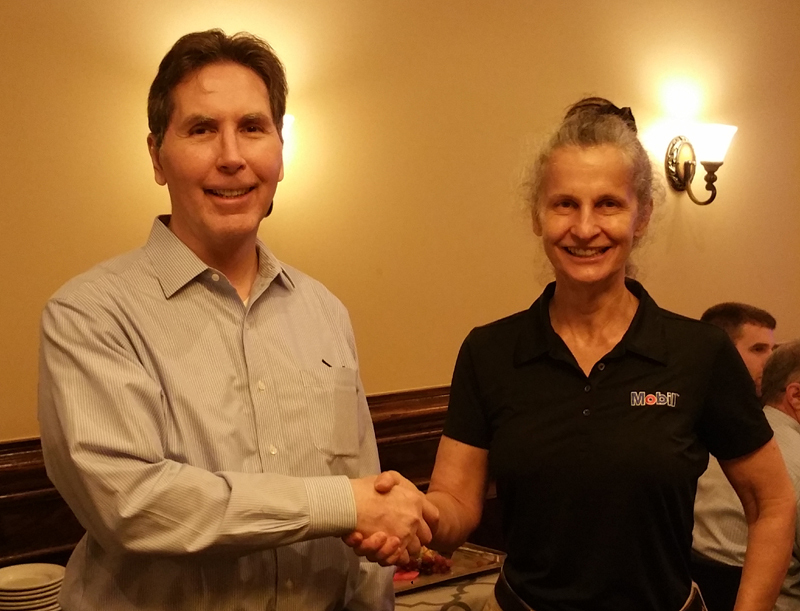 On Friday, April 13, 2018, Marianne Duncanson, of ExxonMobil, presented "The Effects of Electrostatic Discharge on Lubricating Oil". The meeting notice can be accessed here . The meeting slides can be downloaded here. 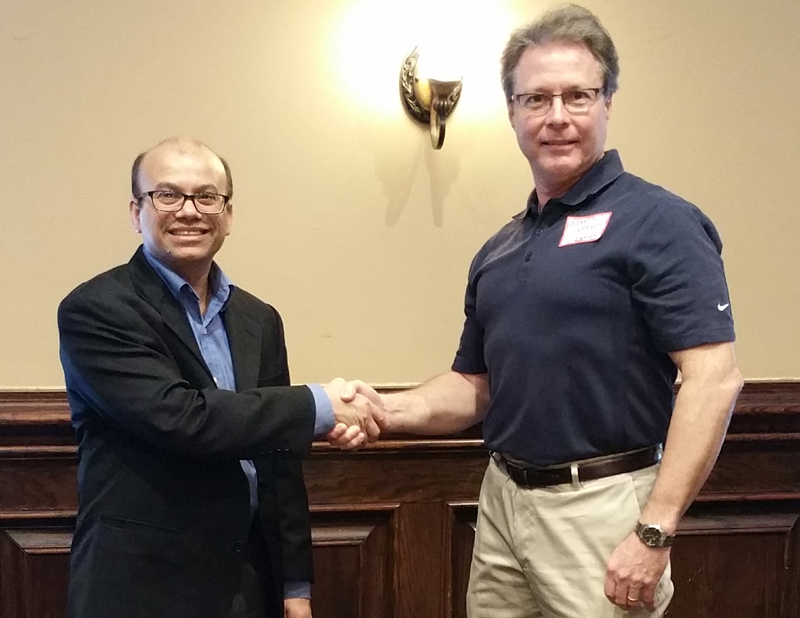 On Friday, February 9, 2018, Mrinal Mahapatro of Pall presented "Stress-resistant Filter Elements". The meeting notice can be accessed here . The meeting slides await release by his legal department, but if/when they are made available, will be here. 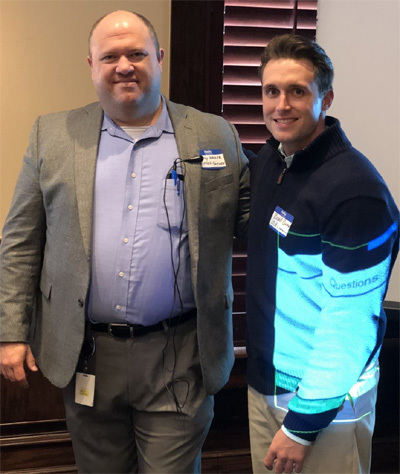 On Friday, January 12, 2018, Andy Walker of Puffer-Sweiven presented "Equipment Condition Monitoring Using Vibration Analysis". The meeting notice can be accessed here and the meeting slides can be accessed here. 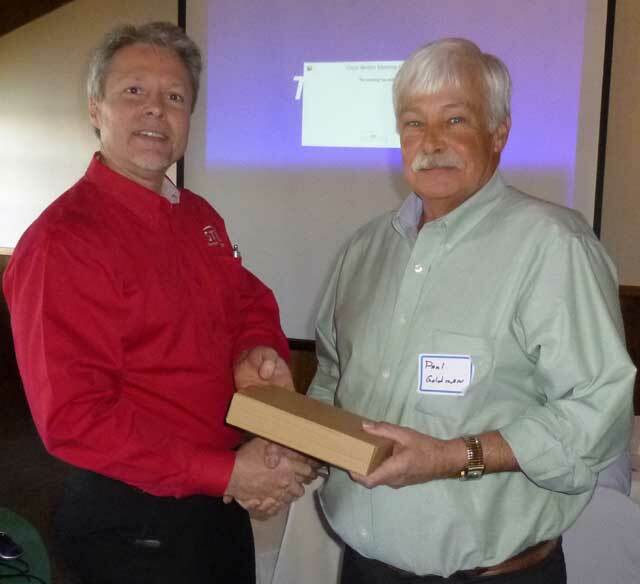 On Friday, December 8, 2017, Phil Heisch, of Caterpillar Oil & Gas, presented "Oil and Gas Compression Systems" Presentation slides were not cleared for release. On Friday, October 6, 2017, Steele Glen , Pump Industry Manager at Summit Brand Division, visited us from Maryland to talk about lubricants. 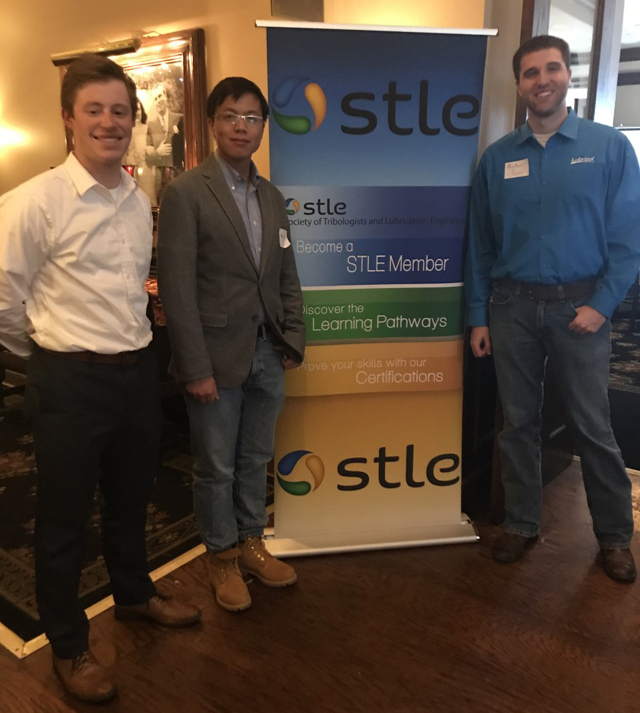 On Friday, January 13, 2017, Cody Evans presented "Evolving API Standards Impact on Engine Lubrication". More details about the meeting can be found in the E-flyer The slides can be accessed here. 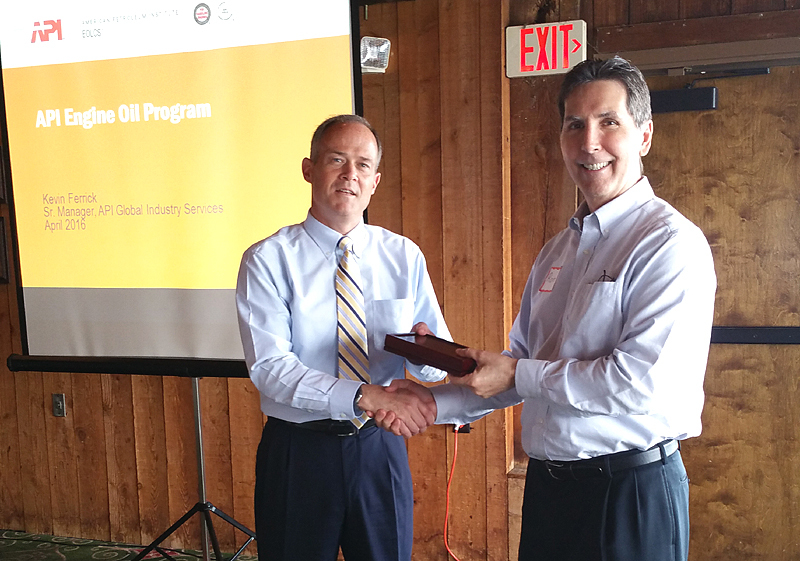 On Friday, October 14, 2016, Ray Thibault presented "Oil Analysis". More details about the meeting can be found in the E-flyer The slides can be accessed here. 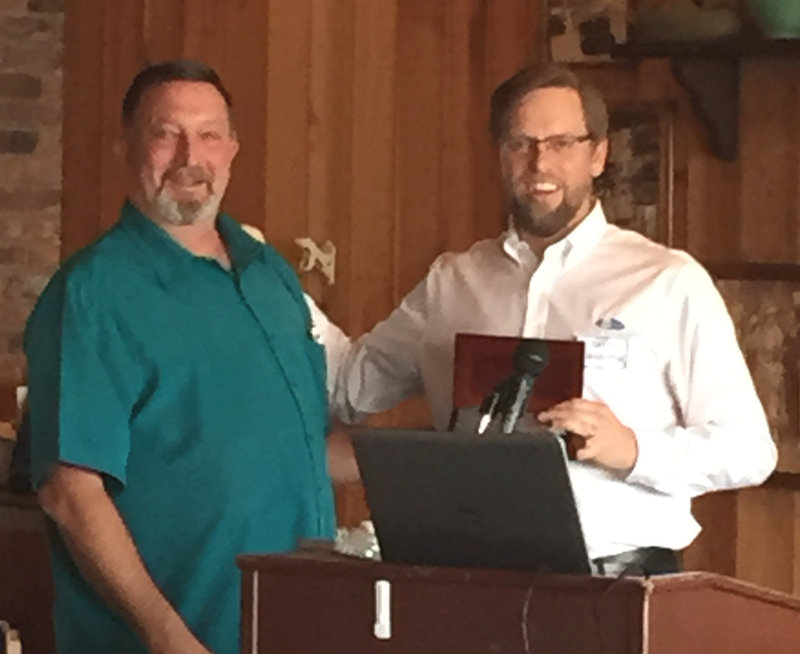 On May 13, 2016 Kevin Ferrick of API presented "API CK-4 and FA-4 Ready for Their Debut Applications ". The newsletter has more details on this meeting. The slides can be accessed here. 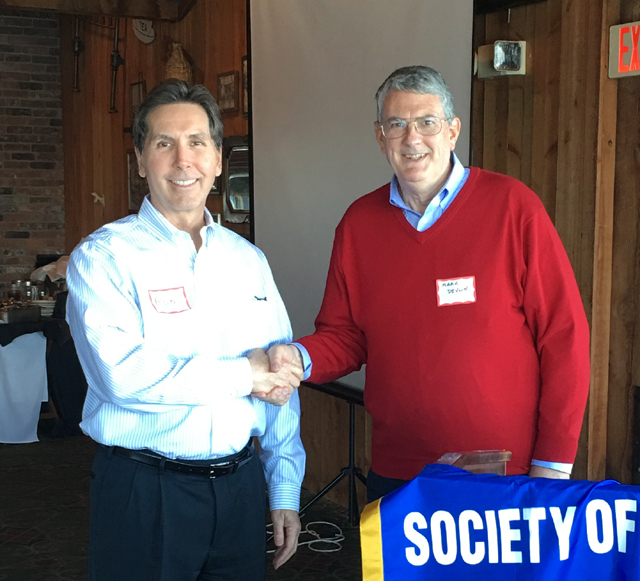 On February 12, 2016 Dr. Mark Devlin of Afton presented "Fuel Economy in Lubricant Applications" The newsletter has more details on this meeting. The slides can be accessed here. 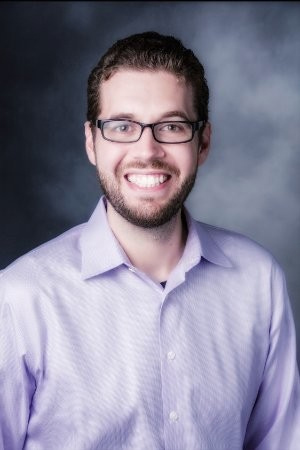 On January 8, 2016 Evan Zabawski CLS, OMA I, MLT I, MLA II, CET of ALS presented "Greatest Cases: Contaminant Series" The slides can be accessed here. On December 11, 2015 Monica Jefferson - Regulatory Compliance Coordinator for Phillips 66 presented "GHS and Supply Chain Impact" The newsletter has more details on this meeting. The slides can be accessed here. 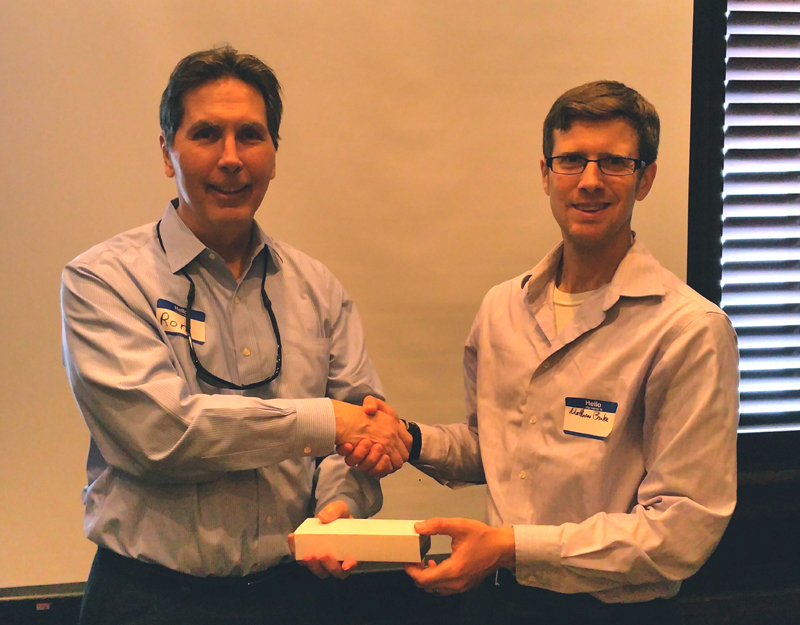 On February 13, 2015 Greg Livingstone of Fluitec presented "The Feasibility of Fill-for-Life Turbine Oils". Details can be found in the E-flyer. Slides can be accessed here. 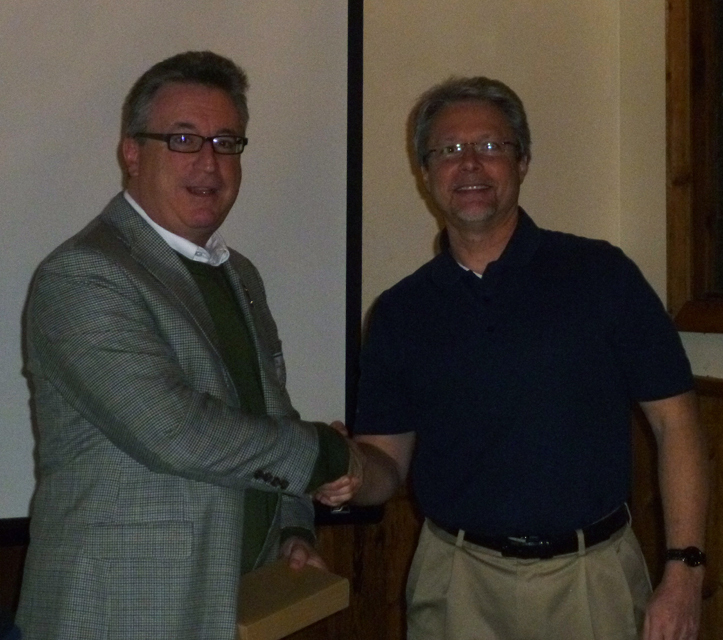 On January 9, 2015 Adrian Messer of UE Systems presented "Condition Based Lubrication: Best Practices Using Ultrasound". 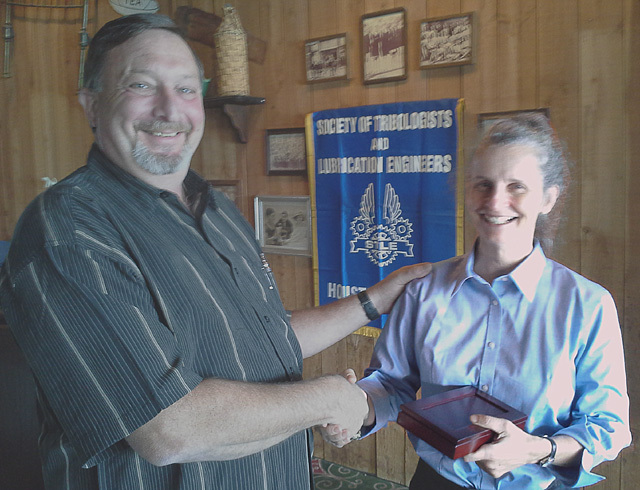 On November 14, 2014 Marianne Duncanson of ExxonMobil spoke on protection of equipment in storage. Details can be found in the E-flyer. 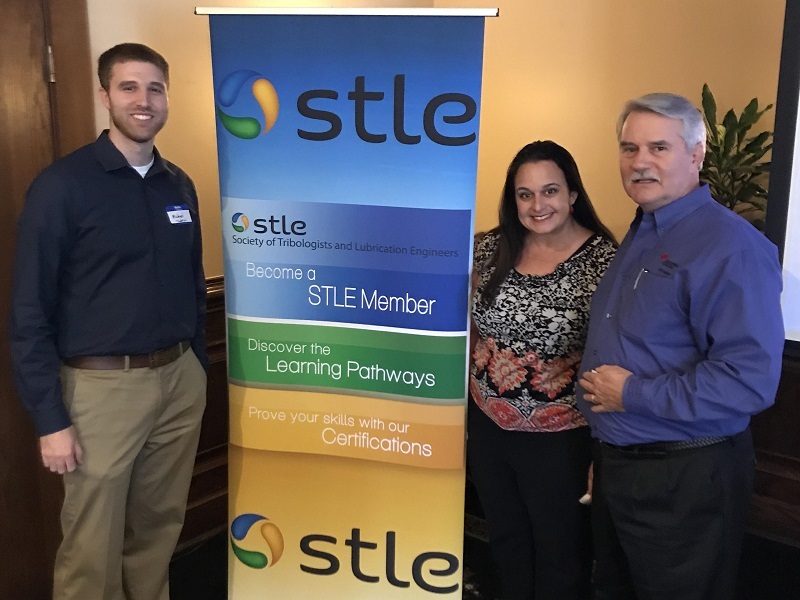 Apologies for the technical difficulties that prevented us from connecting the remote college STLE Sections to the webinar. The slides will probably not be made available for access, due to the many levels of approvals that will have to be gained. 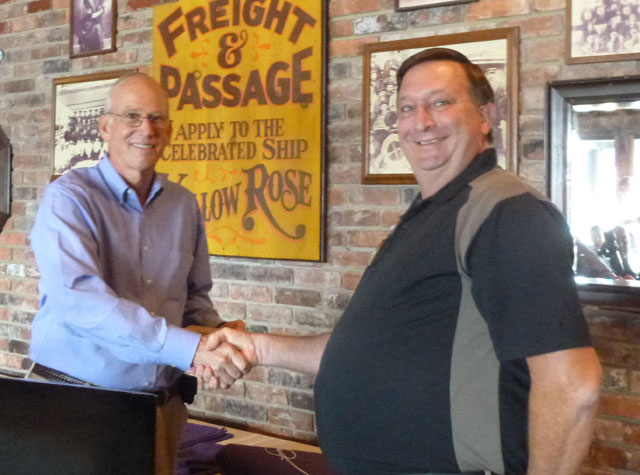 On October 10, 2014 Bob Matthews, Senior Reliability Manager of Royal Purple presented It's Not a Lubrication Failure. The newsletter has more details on this meeting. The slides will eventually be available for access here. 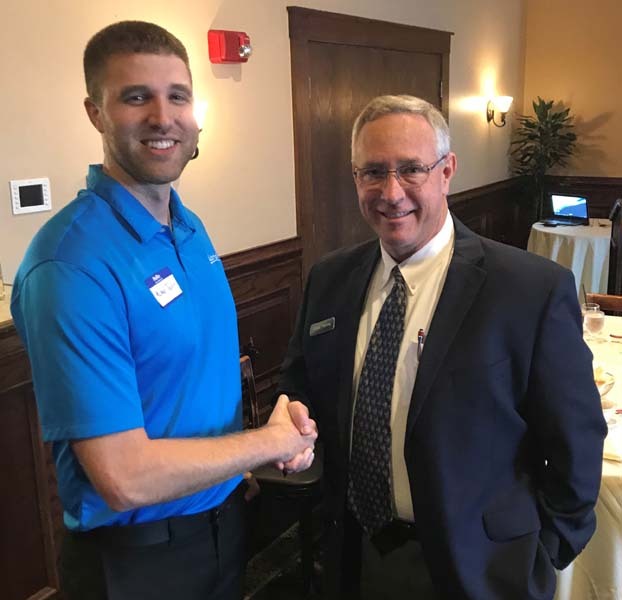 On September 5, 2014 Mike Green, Senior Regional Sales Manager for Schneider-Electric presented Remote Tank Level Monitoring. The newsletter has more details on this meeting. The slides can be accessed here. 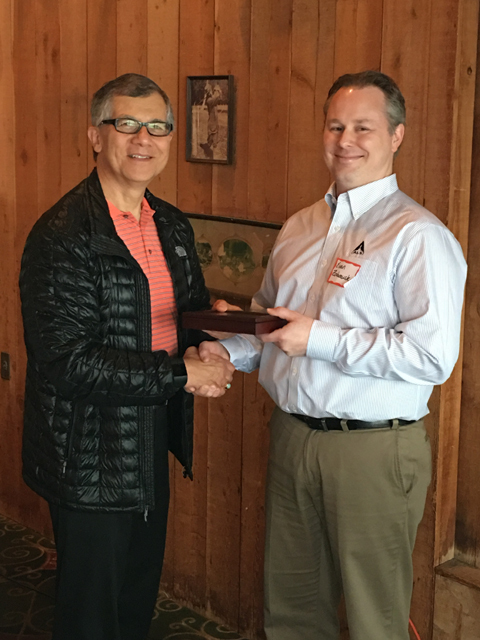 On May 7, 2014 Steven Strollo - Lubrication Engineer for Phillips 66 presented "Mist Lubrication" The newsletter has more details on this meeting. The slides can be accessed here. Way a complicated system is needed for mist generation? Why don't let the air pass through the lubricant oil directly? Air passing directly through the lubricant would not atomize the lubricant. High air velocity, achieved with a venturi or vortex are required to create mist particles in the 3 micron size range. Does the size of mist particle affect lubrication? How to control the size of the mist oil particles during the atomization? The particle size must be about 3 microns for conveyance to the point of application and about 5 microns to wet the lubricated surfaces. The 5 micron size particles are created by the reclassifiers. The size of the mist particles created in the mist generator are controlled by the baffle in the generator. Larger particles strike the baffle and fall back into the reservoir. Also, the National STLE provided some extra door prizes for this meeting. Below is a shot of the happy winners! February 5, 2014 - Paul Goldman, Founder and President of MRT Laboratories, LLC presented "Used Lube Oil Analysis and Analytical Ferrography". The newsletter has more details on this meeting. The slide pack contains more details of this presentation. 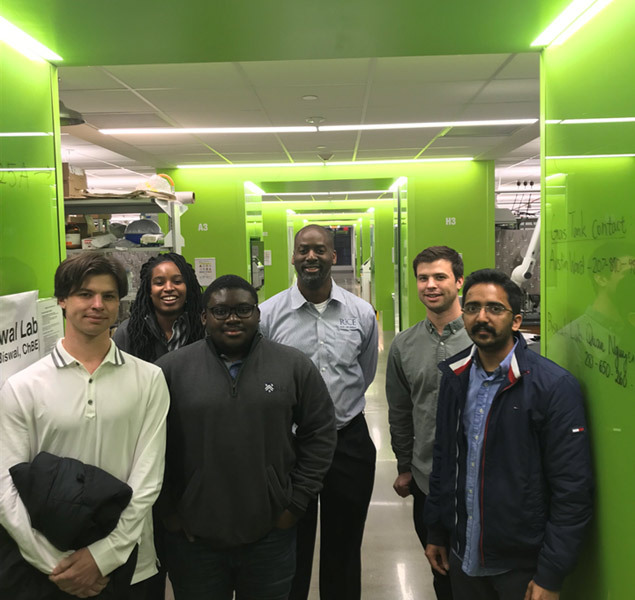 January 8, 2014 - Michael D. Holloway, Business Development Manager for ALS Tribology North America, presented "RICE MACT, the New EPA Regulations and the Need for Oil Analysis". The newsletter has more details on this meeting. The slide pack contains more details of this presentation. A copy of the RICE MACT handout from the meeting is here. November 6, 2013 - Patrick Brutto, Senior Technical Service & Development Specialist for Dow Consumer & Industrial Solutions presented Amines 101 for Metalworking Fluids. The newsletter has more details on this meeting. The slide pack contains more details of this presentation. September 11, 2013 - John Cummins of Hydrotex presented "Wind Turbines". A copy of his slide presentation can be downloaded here. The meeting announcement can be found in the E-flyer. March 6, 2013 - Phil Ames of Afton Chemical presented the Keynote Presentation, Direction of the Industry, at our 2013 Lube School, held at the University of Houston. A copy of his slide presentation can be downloaded here. 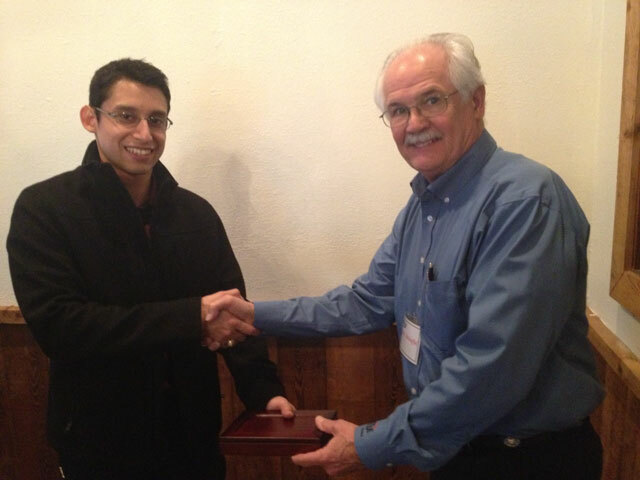 January 9, 2013 - Carlos Sanchez, Ph.D. Graduate Student and STLE Research Award Holder, Texas A & M University, College Station (above) presented Tribological Evaluation under Extreme Conditions. The newsletter has more details on this meeting. The slide pack contains more details of this presentation. November 7, 2012 - Chris Stewart, Engineering Manager for John Crane Bearings presented Bearing Design and Troubleshooting. . The newsletter has more details on this meeting. The slide pack contains more details of this presentation. 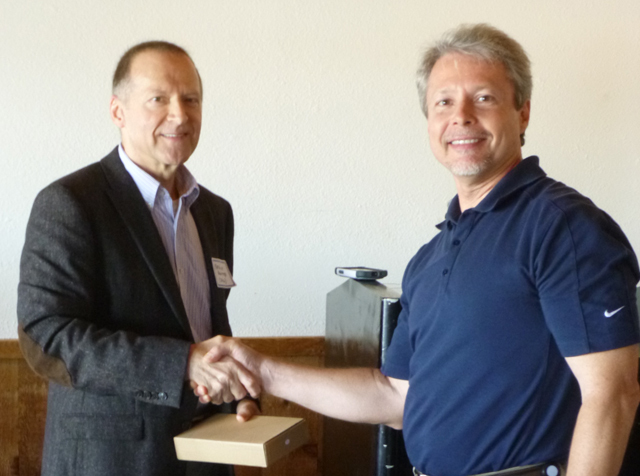 October 3, 2012 - Dr. Rafael Tadmor (above), Associate Professor, Chemical Engineering Dept., Lamar University presented Lubrication History. . The newsletter has more details on this meeting. The slide pack contains more details of this presentation. 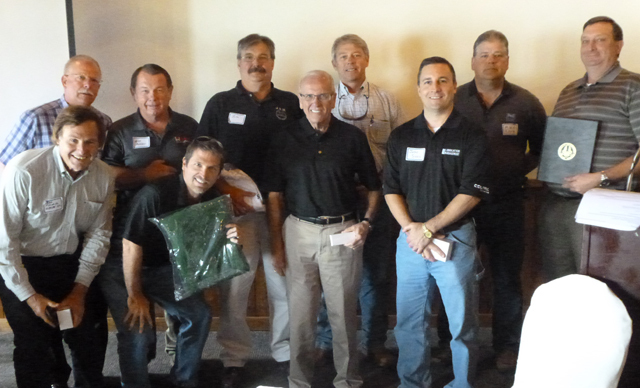 September 12, 2012 - David Turner, CLS of Shell Global Solutions presented Updated ASTM Grease Test Methods. The slide pack contains more details of this presentation. November 9, 2011 - Dr. Ken Hope, CLS, NAO / PAO Team Leader and Research Fellow of Chevron Phillips Chemical Company presented "Synthetics: Existing and Emerging Materials". The slide pack contains more details of this presentation. 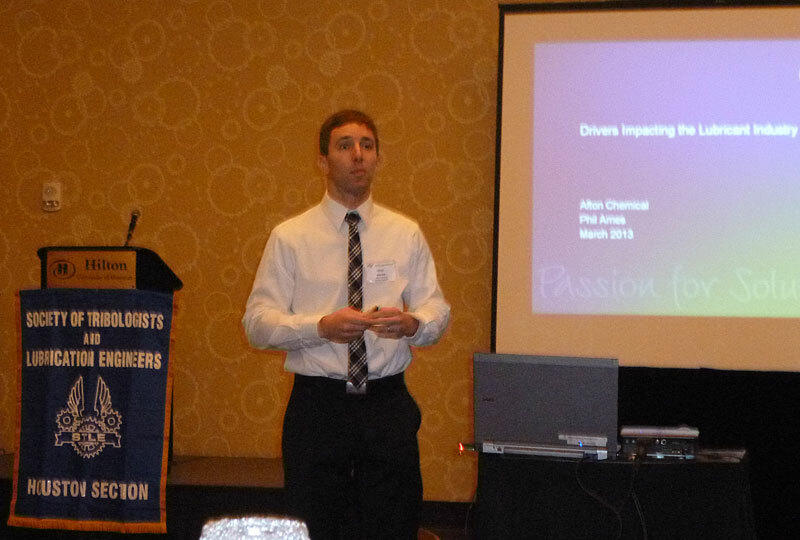 December 7, 2011 - Tyler Adams of Innovadex presented "Innovadex: The Search Engine for Product Innovators". Their website contains more details of this specialized search engine. January 11, 2012 - Martin Whitton, Air Permit Reviewer, Texas Commission on Environmental Quality (TCEQ) presented "Lubricants, Machining & Air Quality". The slide pack contains more details of this presentation. February 8, 2012 - Rob Heverly, Technical Sales Representative, R.T. Vanderbilt Company and Secretary, STLE Executive Committee presented "Lubricant Additive Overview". The slide pack contains more details of this presentation.